Precision Machined from Aircraft-grade Aluminum Alloy with Anodized Black Matte Finish. Thumbscrew type but also includes all hex wrenches for tightening . 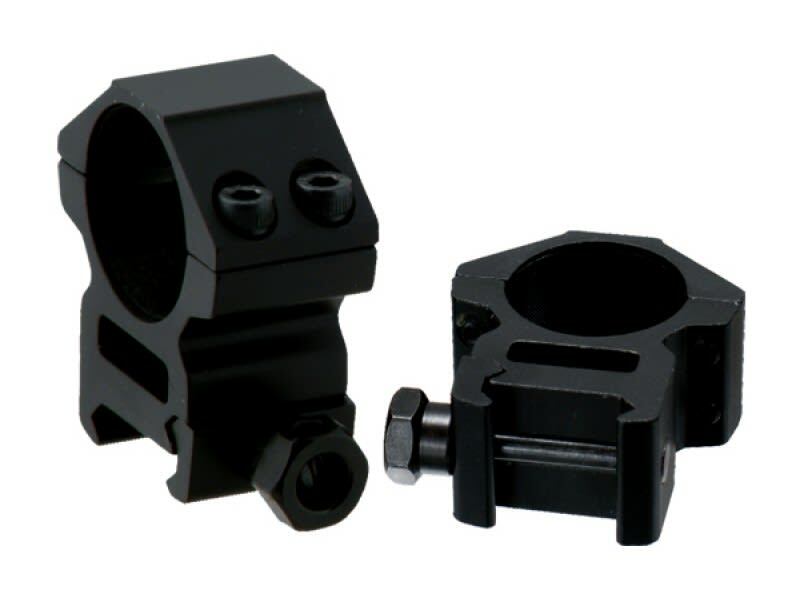 Fits All Picatinny/Weaver Rails Perfect for the mount above or any application requiring Weaver Rings. 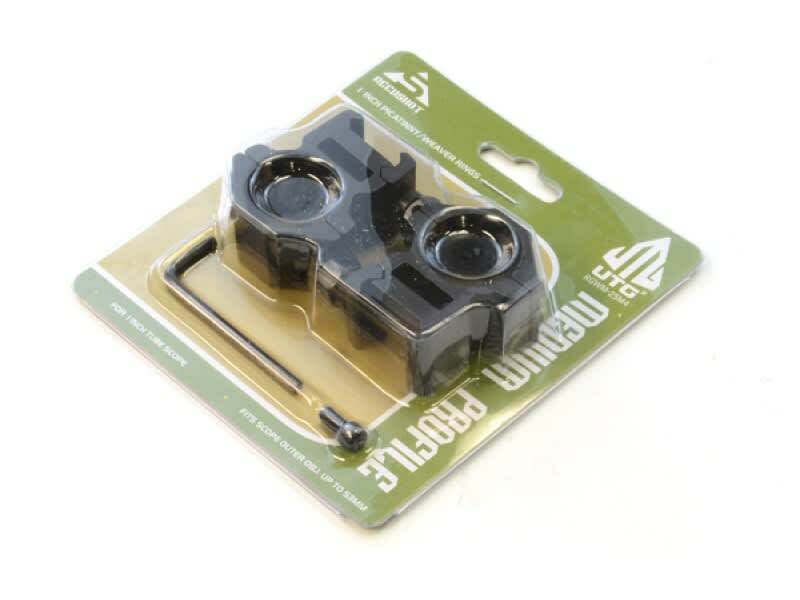 See-through design for compatibility with many open sights. Accushot Medium profile 3rd generation weaver rings by UTG. Sits medium high off of the rail to allow for larger bell objective scopes to clear. 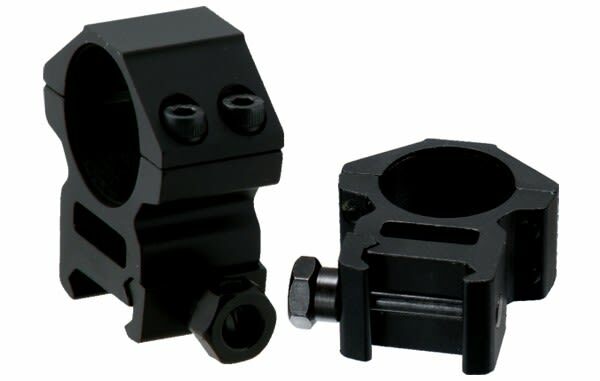 Allows for better clearance of front sight when attaching directly to receiver rail. Nice product at a nice price.